One of the funniest evenings I have ever spent was celebrating the 80th birthday of Marge Caldwell. The night was called Marvelous Night with Marge. What people knew before they arrived was that every night with Marge was marvelous. I co-hosted the evening with the up-and-coming Beth Moore. If you don’t know the name Marge Caldwell, you might want to stop reading right now. Marge Caldwell—genuine saint, author of many books and magazines, speaker, storyteller, humorist, and hero of the faith—was the godliest woman I ever knew. Many, many hours were spent at her feet laughing, crying, and . . . changed. There was no one like Marge. Can I say that humor was the base camp for the evening, and it went up from there? We laughed until we cried … literally cried for several hours. All at Marge’s expense, of course. There were three of the funniest ladies I have ever known in the room: My mom, Virginia Seelig (she and Marge spoke and sang at conferences together for years. My mother made humor a mainstay of her life), Beth Moore (mentored by Marge and just beginning her ministry. And, did I say funny? ), and Marge Caldwell. Marvelous Night with Marge. This was her night. Laughter is contagious. It is good medicine for the soul, and that was what Marge’s life was all about, bringing souls to know the Lord and Savior Jesus Christ. Her humor paved the way. Sadly, ten years ago, Marge and I found ourselves in the hospital at the same time, both with serious illnesses. We had laughed together for years. Now we were both fighting for our lives. 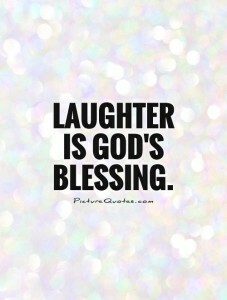 But, God still had a sense of humor and allowed us some precious moments together laughing. We were placed in rooms side by side, head to head, and we could tap on the wall to see how each other was doing. As I was recovering, I would wheel myself into her room to laugh and wish her well. Humor amidst our pain. What a gift Marge was! But what about you? Are you bogged down in the cares of this world, or are you finding joy in your every day walk with the Lord? 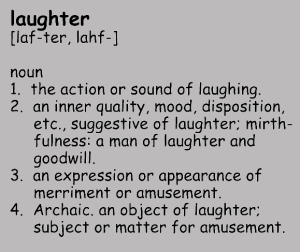 There are hundreds of people all around you that need a good dose of “medicine” … laughter. Won’t you be the one to share your joy with them? Marge, my best friend, I miss you to this day. Be a blessing. Find someone to whom you can be a blessing. Who are you encouraging? Purposely find someone who you will encourage in the faith.